Back last week we brought you news that suggested that Fable Legends might not be as dead and buried as the world had first feared. Sadly, however, it’s now starting to look as though any whisper of a revival may have been premature – or even just simply untrue – as the final nails have entered the game’s coffin. 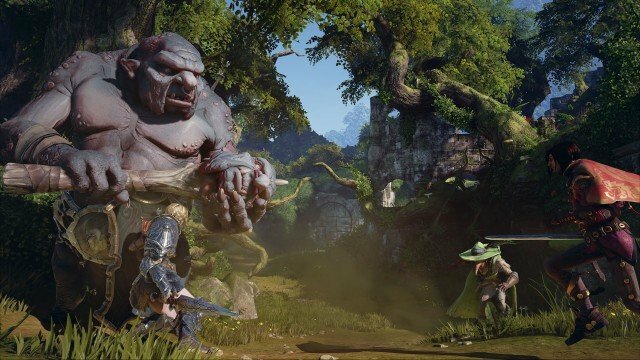 Earlier today, Gamespot reported that Fable Legends‘ Beta servers, which were still active even after the game’s cancellation was announced, had now been shut down. There was also an update provided on how refunds for any pre-purchased in-game currency could be processed, with some players already having paid for the items before the game was scrapped. From all of us here at Lionhead Studios, we would like to thank you for participating in the closed beta and being a part of the game’s development. All stories have to end eventually, but the memories of Heroic triumphs and Villainous plots will last forever. Thank you for your support–you are all Legends! We aren’t sharing additional details beyond that we have ceased development on Fable Legends, and are in discussions with employees at Lionhead about our proposed closure of the studio as well. So it seems Fable Legends won’t be getting a reprieve after all. But how do you feel about the news? Was the idea of a freemium Fable game something that excited you, or do you think it was doomed to die from the very start? Let us know your thoughts in the comments below!